John W. Hennessey Jr., age 92, of Shelburne, Vt., and formerly of Hanover, N.H., died of natural causes on January 11, 2018, at the Wake Robin Continuing Care Retirement Community. Hennessey was a scholar, a feminist, a progressive and an ethicist with an exceptional career. Despite his myriad commitments, he always made time for his family. He and his wife, Jean, took each of their three grandchildren on cross-country trips, which covered all 50 states, and the two spent 10 weeks with them in the Cotswolds of England. His family called him “Super,” short for “Super Pal,” an apt description of his special friendships with all children. More recently, he became the proud great-grandfather of five great-granddaughters, a new joy in his life. Hennessey was born on March 25, 1925, in Danville, Pa., to Martha Scott Braun and John W. Hennessey. He attended public schools in York, Pa., before entering Princeton University’s class of 1945 at the age of 16. His college education was interrupted in 1943 by World War II, when he enrolled in Officer Training School at the age of 18. By the age of 21, Hennessey achieved the rank of first lieutenant in the United States Army and managed more than 200 men in the Philippines Ordinance Department. He returned to Princeton in 1946, graduating Phi Beta Kappa in 1948 with a degree in economics and social institutions. The subject of his senior thesis at Princeton was universal health care. Just after their graduations, John married Jean Marie Lande (of Seattle, Wash.) at Vassar College. The couple moved to Cambridge, Mass., where John entered Harvard Business School, receiving his MBA in 1950. They then moved to Seattle, where Hennessey received his PhD in organizational behavior from the College of Business Administration at the University of Washington. While in Seattle, the couple had two children, John William Hennessey III (1952) and Martha Scott Hennessey (1954). Jean has been long admired as a leading environmental and Democratic activist; she died in 2004. In 1957, Hennessey accepted a full professorship, teaching organizational behavior at Dartmouth College’s Amos Tuck School of Business Administration. In 1959, he accepted a short-term faculty position at IMEDE (later IMD), a graduate management program in Lausanne, Switzerland. Later, he was an adviser for similar programs in Turkey, the USSR and the People's Republic of China. Soon after his return from Switzerland, Hennessey became associate dean of Tuck School, and, in 1968, he was invited by Dartmouth president John Sloan Dickey to become the sixth dean of Tuck. Hennessey accepted the deanship with the conditions that he continue to teach organizational behavior and that the trustees approve the admission of women to the business school. They agreed; the first women were admitted to Tuck in September 1968, and Dartmouth College made the decision to accept undergraduate women three years later. During his tenure as dean, among other accomplishments, Hennessey inaugurated the Tuck Executive Program, the Tuck Education Loan Program and the alumni/ae magazine, Tuck Today. He was also founding chair of the Council on Opportunity in Graduate Management Education (COGME), to increase the flow of minority students into the five most selective MBA programs. Upon retiring as dean in 1976, Hennessey was awarded Dartmouth’s Third Century Professorship. He then cofounded the Dartmouth Ethics Institute and taught business ethics classes to undergraduates, Tuck students, Dartmouth alumni/ae and community members. Hennessey was a much beloved and respected college professor and administrator. He had a passion for teaching and was a mentor and adviser to many students, friends and faculty, who frequently describe how he changed their lives. In 1986, Hennessey was named provost at the University of Vermont by president Lattie Coor. In 1989, after Coor left UVM, Hennessey served as interim president until 1990. He also served on more than 30 nonprofit and corporate boards (often as chair), including the University of Vermont and Vermont Law School. Hennessey twice chaired the board of the Mary Hitchcock Memorial Hospital/DHMC. He was instrumental in the hospital’s move from Hanover to Lebanon, N.H., and oversaw the new hospital’s expansion. He was chair of the Educational Testing Service, Connecticut Mutual Life Insurance, Encyclopedia Britannica Educational Corporation, and Kendal at Hanover, among many others. More recently, he served on the board of Americans for Campaign Reform and Patient Choices at End of Life. In 1981, Hennessey received an honorary Doctor of Humane Letters degree from the University of New Hampshire. On the occasion of Hennessey's 80th birthday, New Hampshire governor John Lynch proclaimed March 25, 2005, “John W. Hennessey Jr. Day.” In 2006, Hennessey married former governor Madeleine May Kunin, and he moved with her to Vermont. At the 2008 commencement at Vermont Law School, he and Madeleine were awarded honorary Doctor of Laws degrees, while she was the commencement speaker. Later, at the University of Vermont’s 2012 commencement, Hennessey was also awarded an honorary LLD degree. John Hennessey is survived by his wife, Gov. 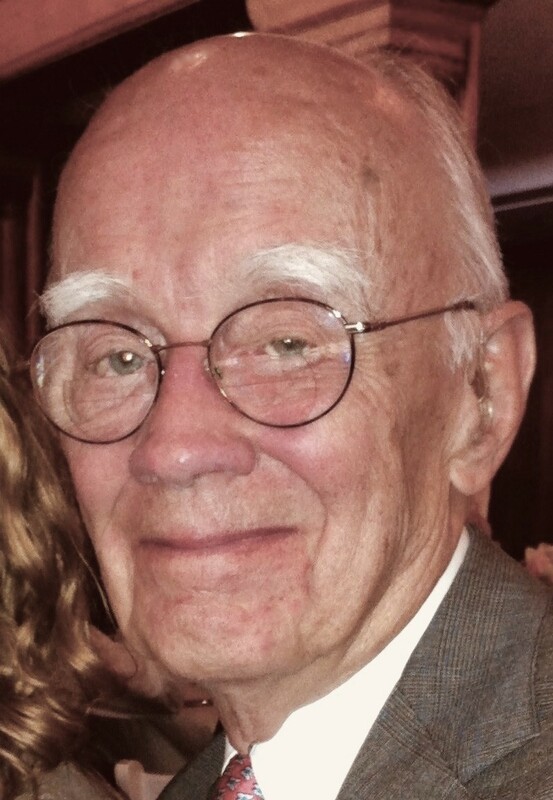 Madeleine May Kunin; his son, John W. Hennessey III, of Weston, Mass. ; his daughter, Martha S. Hennessey, and her husband, Stephen D. Severson, of Hanover, N.H.; his three grandchildren, Kristina Hennessey Hill (Greg Hill), Tucker Severson (Sarah Persing) and Elizabeth Scott Hennessey (Tamara Iwanski); five great-granddaughters; four stepchildren, Julia Kunin, Peter Kunin (Elizabeth), Adam Kunin (Jane) and Daniel Kunin (Chantal Gauvin); as well as six step-grandchildren. A Circle of Remembrance, open to the public, will be held on Saturday, January 27, 2018, at 2 p.m., at Wake Robin in Shelburne. A service will also take place in Hanover, N.H., at a later date. In lieu of flowers, donations may be made to Patient Choices Vermont, P.O. Box 671, Shelburne, VT 05482 or Common Cause, 805 15th St. NW, 8th Floor, Washington, D.C. 20005.